The annual Apex Friendship Patriots Car Raffle is back and better than ever! 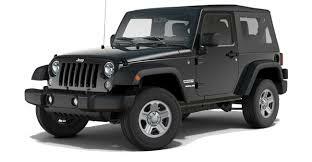 This year's car raffle features a grand prize of a 2018 JEEP WRANGLER courtesy of Leith AutoPark Chrysler Jeep! Tickets are just $25 each and available via AFPAC and proceeds support the AFHS Patriots Athletic Club, AFHS PTA, AFHS Band Boosters, AFHS Chorus Boosters and AFHS Academy of Engineering! The raffle winner will be drawn by Principal Matt Wight on Friday, April 12, 2019. The proceeds from this raffle will benefit the mission and activities of: Apex Friendship Patriots Athletic Club (AFPAC), Apex Friendship PTSA, Apex Friendship Band Booster Club, Apex Friendship Chorus Booster Club and the Apex Friendship Academy of Engineering (AoE). Tickets will be sold from September 1, 2018 until Monday, April 8, 2019. The winning ticket will be drawn by Matt Wight (AFHS Principal) on Friday, April 12th, 2019. The raffle is open to legal residents of the United States who are age 18 and over and are licensed drivers. All ticket sales occur in the state of North Carolina. If fewer than 1,500 tickets are sold by the time of the drawing, the winner will receive 1/3 of all monies collected by the raffle. If more than 1,500 but less than 2,500 tickets are sold, the winner will receive $15,000 as the raffle prize. If more than 2,501 tickets are sold we will award the JEEP WRANGLERSPORT 4 x4 (2 door, manual transmission, soft top) (Estimated value $27,500) to the winning ticket. Membership in the Apex Friendship Patriots Athletic Club (AFPAC), Apex Friendship PTSA, Apex Friendship Band Booster Club, Apex Friendship Chorus Booster Club and the Apex Friendship Academy of Engineering (AoE) is not required. There is no limit to the number of tickets an individual may purchase. The winner will be selected at a random drawing. Entrants do not need to be present to win. The winner will be notified by phone and email according to the contact information provided to the Apex Friendship Patriots Athletic Club (AFPAC), Apex Friendship PTSA, Apex Friendship Band Booster Club, Apex Friendship Chorus Booster Club and the Apex Friendship Academy of Engineering (AoE) at the time of entry. In the event a winner cannot be contacted, fails to respond within 7 calendar days, fails to otherwise qualify for the prize and/or declines the prize, an alternate winner will be selected. If not claimed within 7 calendar days of notification, the winner designee will forfeit any rights to the prize and the same will be awarded to an alternate winner. The right to take possession of the prize through the winning entry is neither assignable nor transferable. If the winner elects to accept the prize, that winner assumes and must pay all fees and charges (including, but not limited to, tags and license), local, state and federal taxes when the car is transferred to the winner. Winnings are subject to regular gambling withholding as stipulated by the IRS and must be paid by the winner. In addition, all costs of car ownership, such as (without limitation) insurance, are the winner’s sole responsibility. The Apex Friendship Patriots Athletic Club (AFPAC), Apex Friendship PTSA, Apex Friendship Band Booster Club, Apex Friendship Chorus Booster Club and the Apex Friendship Academy of Engineering (AoE) assume no responsibility for the winner’s tax obligations and suggest you consult your tax advisor. This offer is void where prohibited by law and all federal, state and local laws and regulations apply. Prizes cannot be exchanged for cash. The vehicle will not be delivered until after all of the applied taxes, license and registration fees are paid by the winner. The winner must have proper identification when claiming the vehicle (a valid state driver’s license) and appropriate insurance. If the winner elects not to accept the vehicle, winner will receive a cash prize alternative in the amount of $20,000 payable to them from the Apex Friendship Patriot Athletic Club (AFPAC) in a lump sum to be paid by June 1, 2018. By receipt of any prize, winner agrees to release and hold harmless Apex Friendship Patriots Athletic Club (AFPAC), Apex Friendship PTSA, Apex Friendship Band Booster Club, Apex Friendship Chorus Booster Club and the Apex Friendship Academy of Engineering (AoE), Apex Friendship High School, Wake County Public School System, advertising/promotion agencies, prize suppliers, and each such company’s officers, directors, employees and agents (collectively, the “Released Parties”) from and against any claim or cause of action, including, but not limited to, personal injury, death, or damage to or loss of property, arising out of participation in the raffle or receipt or use or misuse of any prize. The Apex Friendship Patriots Athletic Club (AFPAC), Apex Friendship PTSA, Apex Friendship Band Booster Club, Apex Friendship Chorus Booster Club and the Apex Friendship Academy of Engineering (AoE) reserves the right to cancel, suspend and/or modify the raffle, or any part of it, if any fraud, technical failures or any other factor beyond the club’s reasonable control impairs the integrity or proper functioning of the raffle, as determined by the club in its sole discretion. The club reserves the right in its sole discretion to disqualify any individual it finds to be tampering with the raffle process or to be acting in violation of these Official Rules or any other Promotion or in an unsportsmanlike or disruptive manner. Any attempt by any person to deliberately undermine the legitimate operation of the raffle may be a violation of criminal and civil law, and, should such an attempt be made, the club reserves the right to seek damages from any such person to the fullest extent permitted by law. The club’s failure to enforce any term of these Official Rules shall not constitute a waiver of that provision. The Released Parties are not responsible for: (1) any incorrect or inaccurate information, whether caused by raffle purchasers, printing errors or by any of the programming associated with or utilized in the raffle; (2) technical failures of any kind, including, but not limited to malfunctions, interruptions, or disconnections in phone lines or hard/software ; (3) unauthorized human intervention in any part of the raffle process; (4) technical or human error which may occur in the administration of the raffle or the processing of raffle ticket purchases; or (5) any injury or damage to persons or property which may be caused, directly or indirectly, in whole or in part, from raffle purchaser’s participation in the raffle or receipt or use or misuse of any prize. If for any reason a raffle ticket is confirmed to have been erroneously deleted, lost, or otherwise destroyed or corrupted, a ticket purchaser’s sole remedy is another ticket in the raffle, provided that if it is not possible to award another ticket due to discontinuance of the raffle, or any part of it, for any reason, the club, at its discretion, may elect to hold a random drawing from among all eligible raffle ticket stubs up to the date of discontinuance for any or all of the prizes offered herein. No more than the stated number of prizes will be awarded. In event that production, technical, seeding, programming or any other reasons cause more than stated number of prizes as set forth in these Official Rules to be available and/or claimed the club reserves the right to award only the stated number of prizes by a random drawing among all legitimate, un- awarded, eligible prize claims. Except where prohibited, raffle purchasers agree that: (1) any and all disputes, claims and causes of action arising out of or connected with this raffle any prize awarded shall be resolved individually, without resort to any form of class action, and exclusively by the appropriate North Carolina State Court located in Raleigh, NC, U.S.A.; (2) any and all claims, judgments and awards shall be limited to actual out-of-pocket costs incurred, including costs associated with entering this raffle, but in no event attorneys’ fees; and (3) under no circumstances will raffle ticket purchasers be permitted to obtain awards for, and hereby waives all rights to claim, indirect, punitive, incidental and consequential damages and any other damages, other than for actual out-of-pocket expenses, and any and all rights to have damages multiplied or otherwise increased. All issues and questions concerning the construction, validity, interpretation and enforceability of these Official Rules, or the rights and obligations of the entrant and club in connection with the raffle, shall be governed by, and construed in accordance with, the laws of the State of North Carolina, U.S.A. without giving effect to any choice of law or conflict of law rules (whether of the State of North Carolina or any other jurisdiction), which would cause the application of the laws of any jurisdiction other than the State of North Carolina.